A few days ago, we were invited to a special Watch_Dogs 2 event, the brand new open world game from Ubisoft that will be available within 3 weeks. Taking place in San Francisco, a more diverse city than Chicago in the first episode, with a much less depressing and more colorful atmosphere, this sequel is a lot more exotic. As you will see in our high quality videos, all captured during our 4-hour-playthrough on a non-final PS4 build, the game is pretty convincing visually. Find out more details in the second part of our podcast, specially recorded for the occasion. Kinda weird how he doesn't get wet after swimming. But it does look pretty nice. I appreciate the GPS system too how it's on the road rather then having to constantly look at the map. Ubisoft doing it right. Where they messed up with the first one by showing footage that never was going to be the final game, they have now been showing nothing but real gameplay footage. I remember when the first one came out people made some gifs of the insane differences between reveal trailer and final game, but i doubt we're going to see drastic differences if someone was to make those gifs of WD2. It's looking really damn nice graphically but most importantly it looks fun. The city seems lively, the emotions/interactions seem to be cool and with enough side activities it could be a really fun open world. The only thing i still don't like is how the driving looks. They just can't seem to nail it. Maybe i need to play it myself first but so far i am not liking what i'm seeing of the driving. I am always mixed with this. I do hate looking at the mini map, but I think the gps on the road looks silly. Mafia 3's approach is nice with the sign posts. And I think it was LA Noire that did a thing with the car indicators. It's weird though how it seems to not be anything like the first game in tone/atmosphere/design - although its just the second game in the series. Just seems a bit odd to me. At least, they're trying to do something a little different, not just a copy. 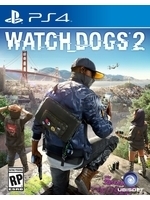 Im very excited for this but a trend that Ubisoft seems to follow over the years is that usually their first game in a franchise gets criticised for being too serious and then they go in the complete opposite side of the spectrum for the sequel. Just look at ac1 and 3. It would be cool if once they tried to improve their sequels without having to completely change the tone. 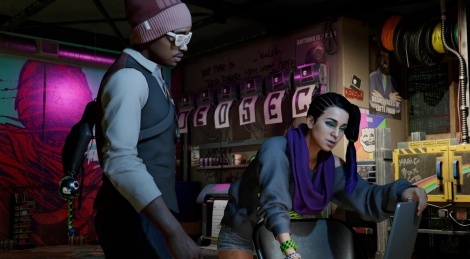 Watch dogs 2 could have been really awesome with a little less serious tone and better characters, narrative than going completely nuts . The writing and characters are pretty cheesy but so far is pretty funny both intentionally and unintentionally for me. Im very excited for this but a trend that Ubisoft seems to follow over the years is that usually their first game in a franchise gets criticised for being too serious and then they go in the complete opposite side of the spectrum for the sequel. It's almost as if ubisoft come to the realisation that people want games to be fun! totally. ubisoft seem to swing and miss a lot in that regard though. far cry 2 to far cry 3. splinter cell conviction to splinter cell blacklist. watchdogs 1 to watchdogs 2. assassins creed 1/2/3 to assassins creed black flag. they try serious. fail on the fun. and then make the next game purely about fun. i'm sure the next rainbow six will be fun too...we can hope. so does this mean the game you played and what is in these videos is not the finished version...so chances are ubisoft could release a worse looking game.....like they usually do? That is a stupid question. Someone likes to troll for the sole sake of trolling? No, because it was really running on a PS4, so it means the opposite actually. The final version should look a little better, or at least have fewer issues (framerate, glitches...).